14th Aug 2014, 11:00 AM in Meanwhile! 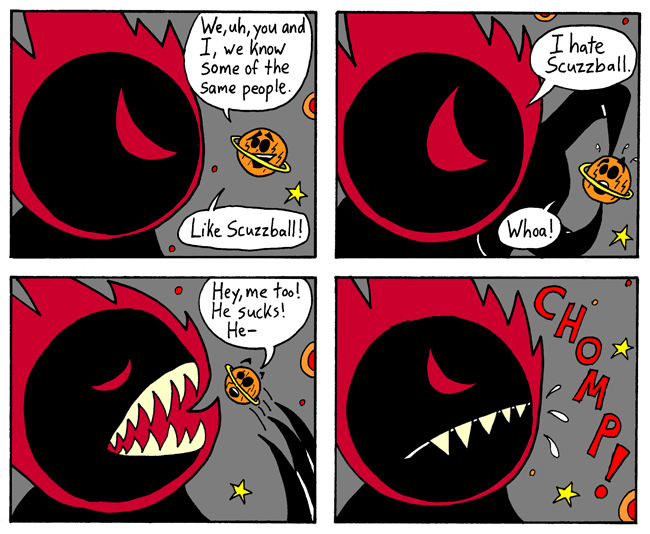 It's true, they both know Scuzzball. Udanax met him back in Episode 137 (off-panel) and 138 (fully visible). Ricky met Scuzzball more recently, in Episode 194. Next Week: The finale to "Meanwhile!"